When some friends decide to revive the challenge of the legendary poacher John MacNab, they plan for everything - except a young woman with a past and time on her hands. 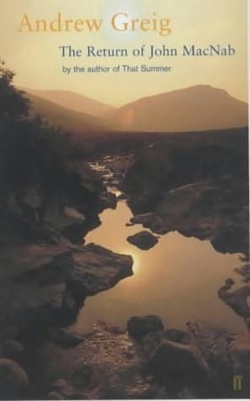 Set in the Scottish hills, this is an adventure, a poacher's handbook, a romance and a moving story of loss and renewal. It is published by Faber & Faber. To buy this book, or to find out more about the publisher, please click HERE.